Field Forensics develops threat-chemical detection and identification kits, instruments and methods. We specialize in field detection of narcotics, explosives, heroin, fentanyl, chemical weapons agents, home-made explosive and narcotics precursor chemicals, toxins and other chemicals. Our kits and instruments are designed for use in tough environments, where many of our customers operate. We proudly support hundreds of elite military, law enforcement, and security organizations around the world. 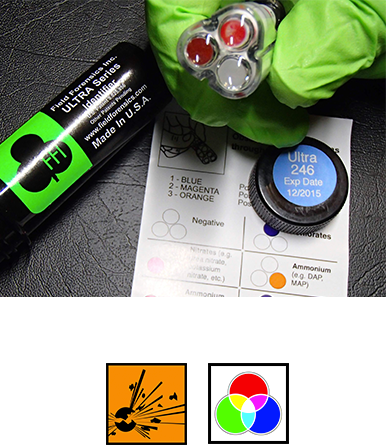 Recently, in response to the threat to law enforcement form the narcotic fentanyl, we developed a disposable test kit called Fen-Her™; it is unique. 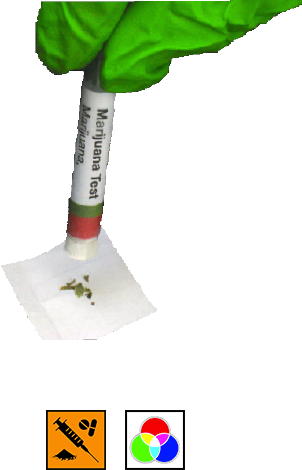 It’s unique because it needs only trace amounts of fentanyl or heroin, it separates heroin from fentanyl in a sample, it responds to fentanyl derivatives, it separates out common cutting agents, and it eliminates the false positives in standard narcotics test kits. Our explosives detection kits have been in use by military special forces and anti-terrorism units for years. 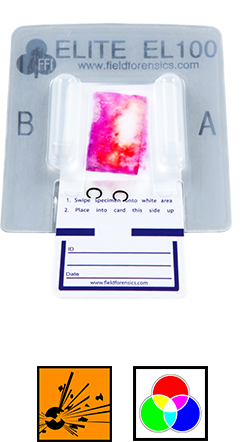 Our kits are self-contained and don’t require an additional reader or instrument for the user to see the results. Some kits are designed to test for a broad range of explosives with a single sample – like the ELITE™ Model EL300. Other of our kits are designed to test for single home-made explosive precursors, like our IDEX™ series of testers. For very specific field testing of chemicals, laser-based Raman spectroscopy has proven itself as one of the most convenient analytical techniques. 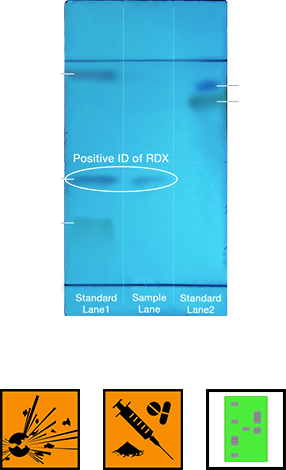 Our HandyRam II™ Raman spectrometer has screen, identify and verify modes of operation and can be used by policemen or analytical chemists alike. 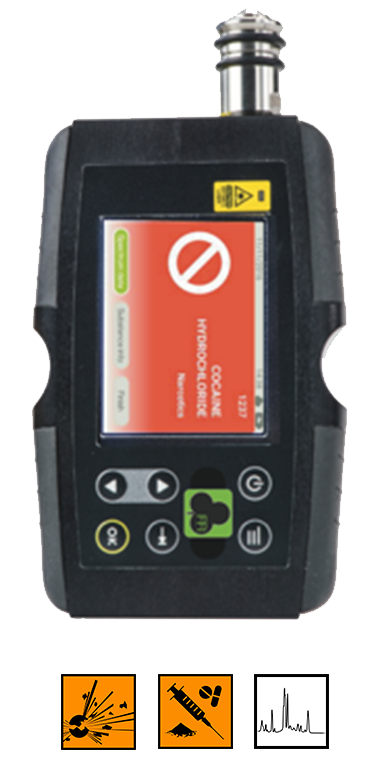 Some of the advantages of Raman spectroscopy compared to other handheld instrumentation are, no or minimal sample preparation, analysis of most materials takes less than a minute or too – often seconds, the instrument doesn’t have to make physical contact with the substance being analyzed, 785 nano meter laser system like HandyRam II™ can see through clear glass and plastic bags, HandyRam II™ has explosives, narcotics and many other libraries available. Our customers have more important things to worry about than whether or not their test kits and instruments are working, so we design our products with this in mind.